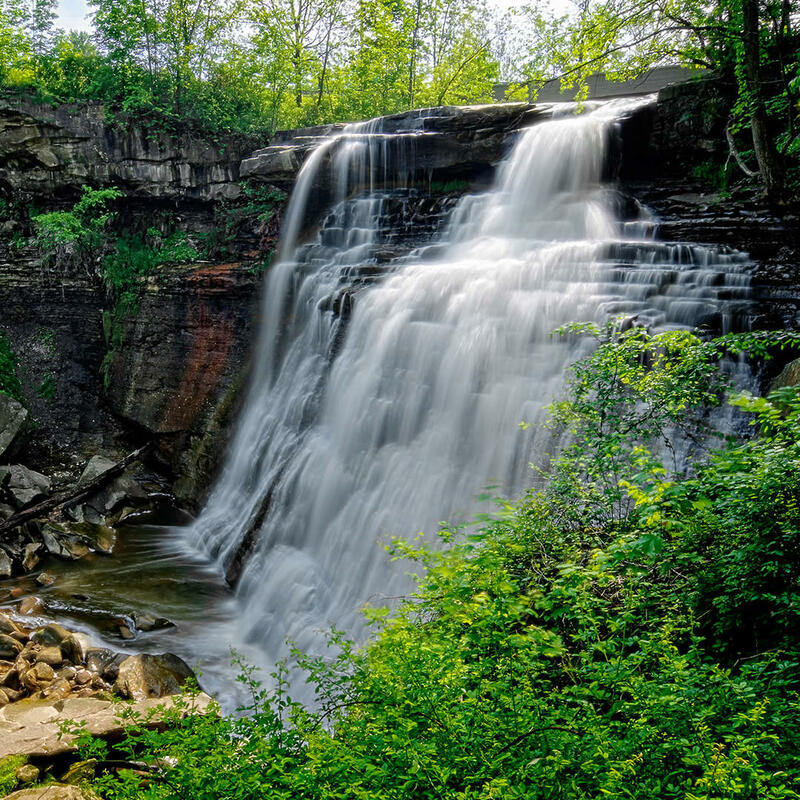 This waterfall slides down multiple tiers made of sandstone and shale formed from mud about 400 million years ago. A boardwalk takes you straight to the viewing platform that allows you to stand right in front of the falls. The best time of the year to visit is in autumn when the falls are surrounded by trees with rusty-colored leaves.